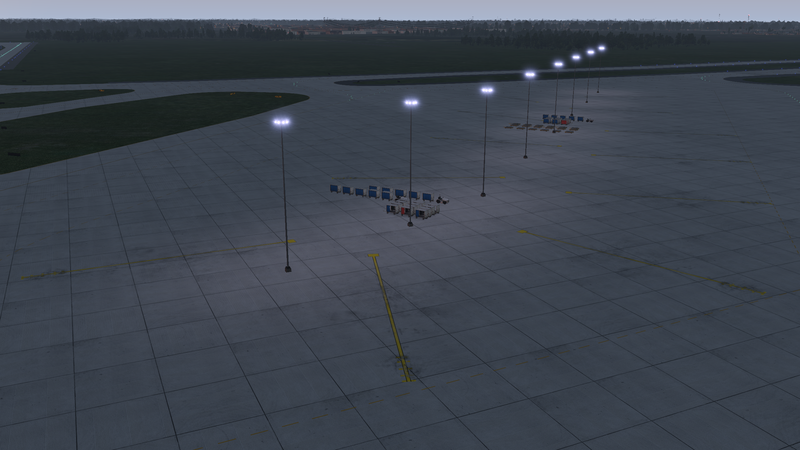 It is KTPA Tampa International, using only default objects for Gateway upload. This one is going to take weeks, but I’m just going to chip away at it one section at a time. First bit is getting the multiple tarmac textures set to match the satellite imagery. 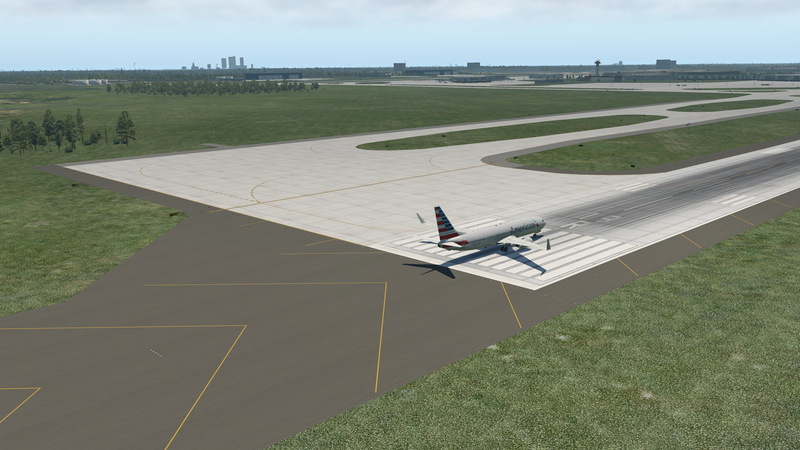 Then we’ll go to buildings – although I already couldn’t resist cleaning up the off-terminal jet parking ramp (and I notice the parking stripes are backwards – I’ll have to fix that). I will follow your progress with interest. I am barely into WED, working on KFDW (Fairlfield County, SC) and it’s a learning curve. But it’s a great tool. I’m taking PPL lessons out of KFDW. I decided at 67 I needed to get of my duff and do it. 3 hours now and probably shortening the life of my instructor. I’m making the airport as close to reality as I can so I can practice at home using X-Plane, which I prefer for training practice. If you overcome some particular challenges it would be good to know for future reference. Love it!! I will be watching anxiously with interest. I haven’t seen a decent version of ktpa in a while. I miss living down there to some extent….. I grew up in Maine until graduation from high school when my family moved to Tampa. I joined the Air Force out of Tampa 2 years later and made it to Georgia, Korea, Ft Walton Beach, Florida and ended a 10-year tour at Hill AFB in Utah last fall which also brought me to the end of my career. Although my current wife has never lived outside of Utah, I have been throwing out the idea of moving back to the East Coast for the last 5 years….. I think she may eventually agree once I finish college for software development…… I really do miss Tampa and the South in general and look forward to flying out of a really nice looking Tampa….. I love the Peter O’Knight that you did. Very accurate from what I’ve seen on Google Earth and other places over the years. Thank you, guys for the effort you put into the scenery, I know from the programming side how tedious it can be. Looking forward to seeing it!! Thanks so much for this. It will be a wait but maybe I’ll release it in stages here before uploading it. And FYI I grew up in Utah. I’ve designed quite a few Utah strips as well. They are listed here on the scenery page.